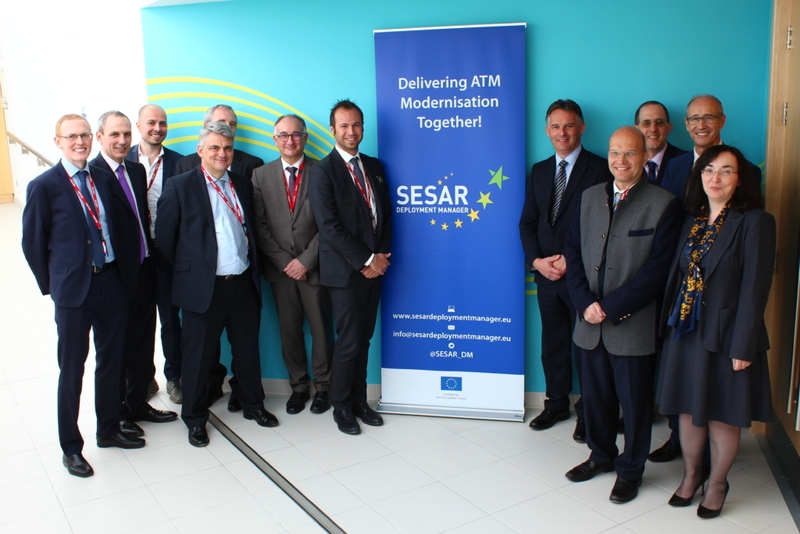 The Innovation and Networks Executive Agency (INEA) and the European Commission visited the UK on the 4th and 5th of October to see two leading examples of SESAR concepts in operation. Time Based Separation (TBS) and the airspace changes made as part of the first phase of the London Airspace management Programme (LAMP1A), which have been co-funded by INEA and supported by the SESAR Deployment Manager, are both helping to deliver the European Commission’s Single European Sky initiative and improve the way Europe’s skies are managed for both the aviation industry and Europe’s flying public. The EU contribution for London Airspace Management Programme (LAMP1A) project was approx. €14 million euro and for Time Based Separation (TBS) €8 million euro. The first day of the visit saw members of the European Commission, INEA and the SESAR Deployment Manager visit Heathrow Airport to see Time Based Separation, a new means for separating aircraft by time instead of distance, in action. Air Traffic Controllers in the Visual Control Room at Heathrow Airport have display indications for TBS providing them with essential information for aircraft on their final approach to the airport. The concept, which was introduced back in Spring 2015, has seen delays caused by wind reduced by more than 50% and the recovery of up to 44 movements per day in strong headwind conditions at Europe’s busiest hub. 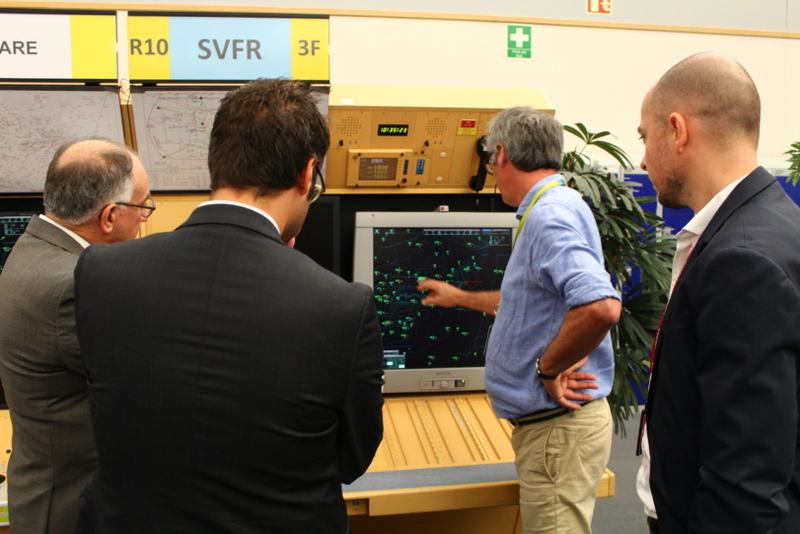 The second day saw the delegation visit NATS Swanwick Centre, one of the UK’s two air traffic control centres and the hub from which radar services for the London Flight Information Region are provided. The delegation were able to see both the approach support for Time Based Separation and the implementation of airspace changes over the South East of England, which have seen the deployment of SESAR’s Point Merge concept, helping to keep aircraft higher for longer and shift holding traffic away from communities and over the sea. This project visit was the second visit of two more to come in 2016. The objective of these visits is to assess the concrete results coming from timely and successful implementation of Pilot Common Project Related Air Traffic Management projects co-funded by the European Commission. During the day, the delegation got a comprehensive view of the concepts in operation, their underlying technology and the benefits they bring to the ATM network and passengers.